I’ve always loved art but didn’t practice until late in life (better late than never) and really took the plunge when I signed up for a part-time HND in Fine Arts which I passed with distinctions in 2012. Doing the HND encouraged me to be experimental and to explore a range of different techniques and media including print-making, photography, film, and sculpture. Complementary to the course I did a master class with international glass artist, Karl Harron, and since then he has guided me through a range of different projects which have enabled me to explore my interest in the identity of landscape. 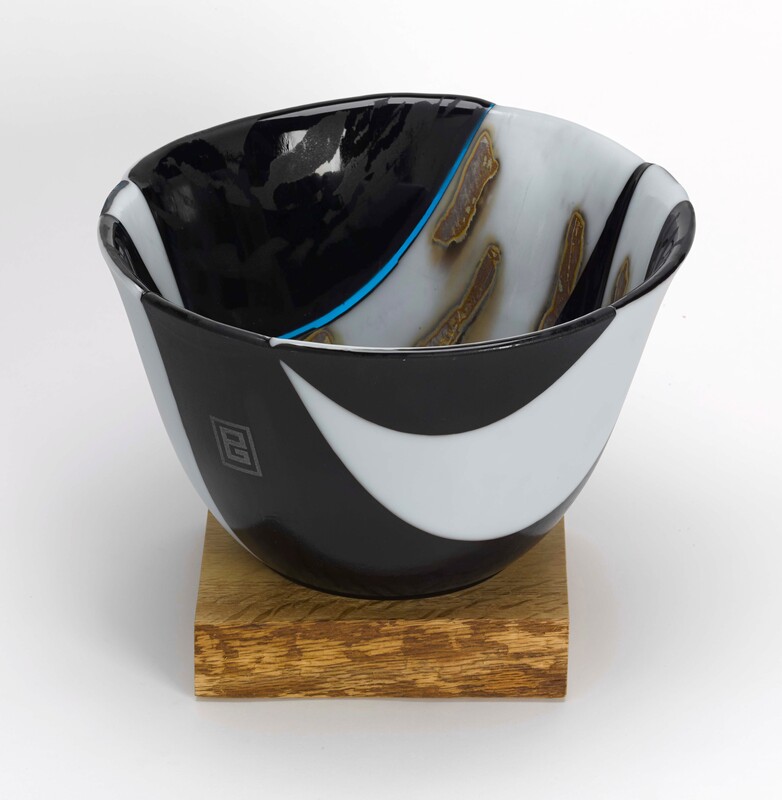 A glass bowl, Ice, was exhibited at the 2013 exhibition of the RUA and in 2014, another bowl, Lava, was shortlisted. Since completing the HND I’ve been going to classes with Rosie McClelland to improve my drawing and painting skills. Thanks to Rosie’s infinite patience and teaching skills, there’s a definite improvement but I’ve still a long way to go! Edward has been a regular member of the classes for some years. He has a strong interest in portraiture which he uses as resource material for his paintings. 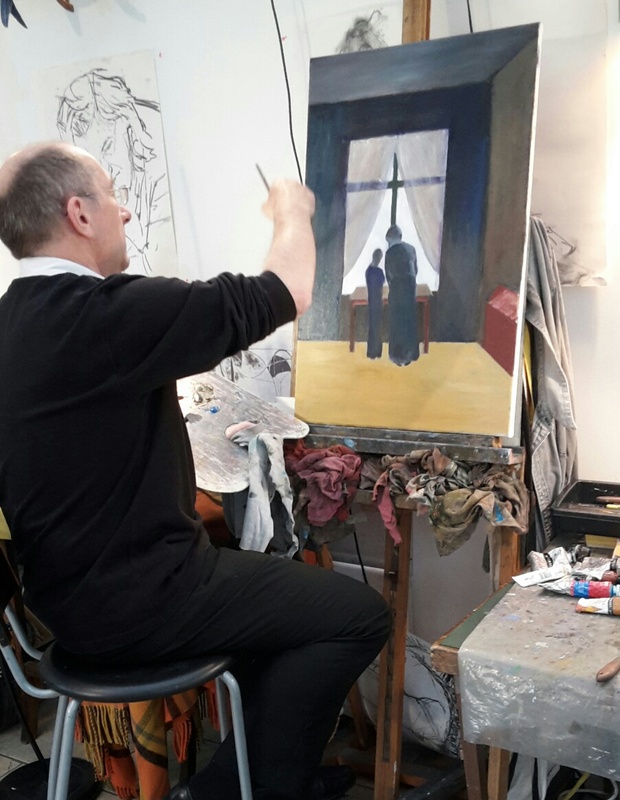 His love for Seamus Heaney’s poems has led him to visualise these in his most recent series of paintings which he exhibited in December 2014 in a very successful one-man exhibition in the Arts Care Gallery, Crescent Gardens, Belfast. These paintings are also due to be shown in the Linenhall Library in August 2015.